Your friend loves her beautiful Oriental rug she brought back from her honeymoon to Asia. During the last summer BBQ, your dog loved it as well! Now there’s a corner that’s destroyed and you don’t want her to kill poor little Fido. What do you do? Maybe you were keeping your mother’s antique Oriental rug safe by storing it in your basement closet. You went to place it on her new living room floor and that’s when you see it. The moths went to town on it like a turkey leg at the Texas State Fair. Now what? 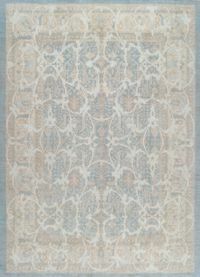 For months you searched to find the perfect abstract rug for your contemporary room. When you lay it out, it’s too big. You can’t bear to part with it because it’s P.E.R.F.E.C.T. — perfect! Not to worry! RenCollection’s skilled craftsmen are experts at restoration and repairs of antique and vintage Persian and Oriental rugs. And our technicians are magicians when it comes to size reduction of your modern and contemporary rugs. From minor repairs like moth holes to large Fido-feasts, reduction in size to simple missing fringes — no job is too big or small. We treat each Oriental rug like our own and respect it as the work of art it is. 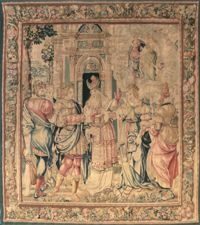 For more information or to schedule an antique rug appraisal, please call (214) 698-1000 or use Contact Us page or stop by to visit us in our showroom located at 1007 Slocum Street directly across from the Dallas Design Center.